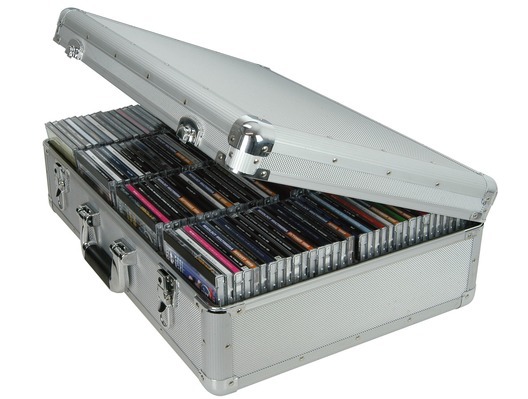 An aluminium flight case for storage of 96 CDs. 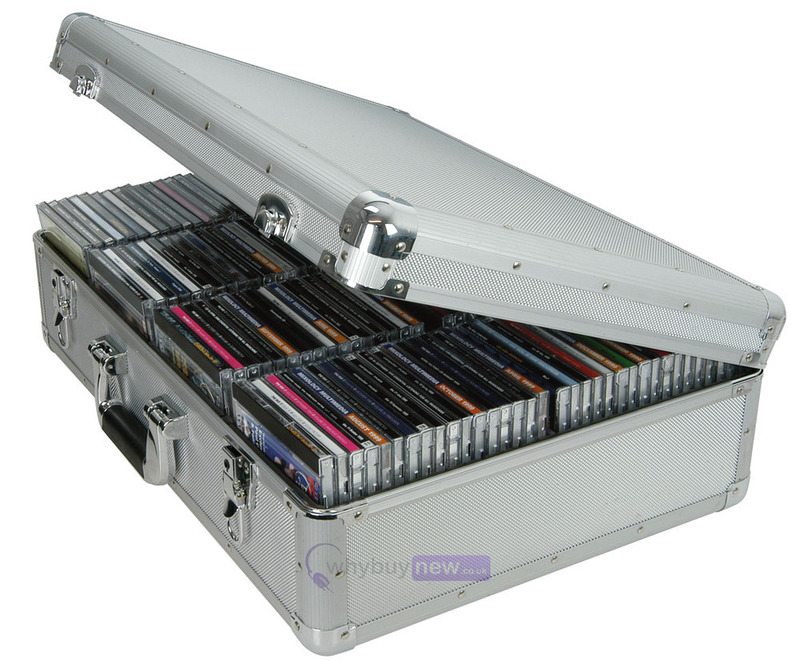 The case features internal padding, with separators for the CDs. The outside of the case is made from tough diamond patterned aluminium with curved extrusions and chrome plated steel corners and hardware. The catches secure the removable lid and can be locked using the keys provided, the carry handle has cushioning for comfort. Ideal for the mobile DJ. First rate product, first rate service. What more can I say!